Single men and women beginner and intermediate golfers can play in a fun event every Monday nights at the Kennedy Short Course Par 3 at East Hampden and South Havana. We meet on the restaurant patio at 5:30 with the first team teeing off at 6. Everyone plays together from the same tees. (Maximum hole yardage is only 153 yards) Men carry only three clubs--plus a putter. (Work on your short game rather than your macho-ness). 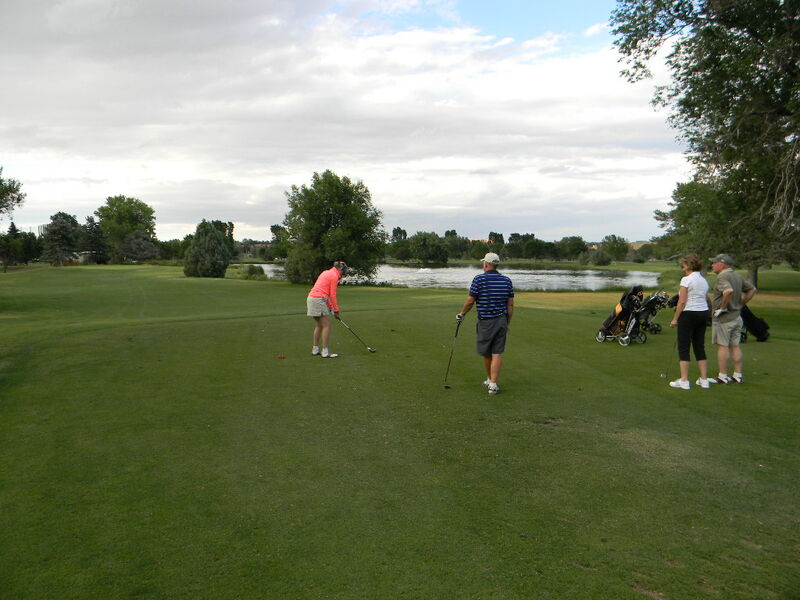 Short hitters and beginners are allowed to pick up their ball and move up to the team's best shot in the fairway. The best-ball, scramble forma allows singles then get to play together the entire time and make new friends. Over the past five years, hundreds of singles have learned to playon the Par 3 with us. Now we are attracting them back as intermediates. Instead of playing a five-hour weekend round on a high priced course, these after work "walks in the park" make our singlesevent more social and less golf-intimidating. Playing together on each shoton every hole keeps the players together to build friendships and teamwork. 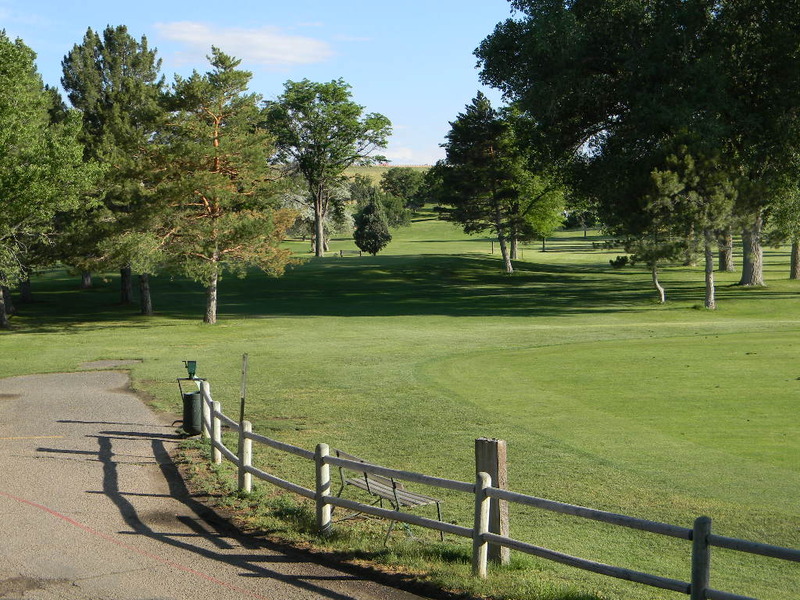 The $15 includes the advance tee times, course fee and on course tips from golf hosts Eric Miller & John Edwards. After golf we all gather at the Fresh Fish Company. If weather is bad at 6, go directly to Happy Hour. Bonus Fact--Six members of this golf group met here, dated and later got married....if that interests you. Every Monday night starting at 6 p.m. our Boomer Social Network hosts a Happy Hour and Meet-up Meal at The Fresh Fish Company Oyster Bar. 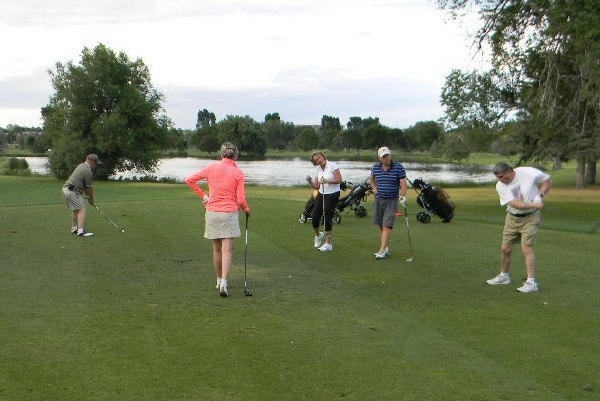 Originally designed for our Singles Golf Group after they played at nearby Kennedy Golf Course now many non-golfing adult singles attend starting at 6 p.m.....and have for four years. This mini-meal includes half-price drinks and reduced price appetizers served in a private room off the bar rather than in the main restaurant. 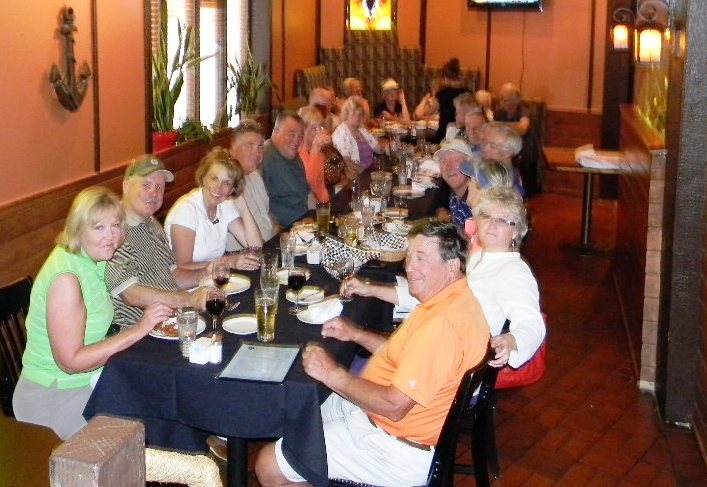 Although the restaurant offers a regular happy hour for the public from 4:30 to 6 and then from 8:30 to 10:30 weeknights, our Boomer Social Network gets the special pricing non-stop from 4:30 to 10:30 on Mondays only. We gather in the remodeled semi-private room with aquariums and big screen televisions adjacent to the main bar of the popular seafood restaurant. A long group table allows up to 30 singles to meet and talk over an economical meal. The reduced prices are available with ordering one drink minimum • No To-Go orders. Select Happy Hour Oysters • 50 cents ea.